thorough underwater inspection. They are familiar with marine-based structures as well as underwater construction techniques. 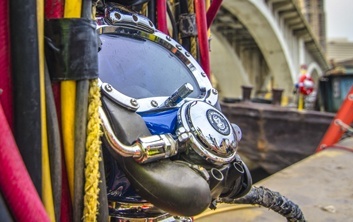 Outfitted with state-of-the-art equipment, our divers can handle even the most challenging environments. Brennan understands an inspection is only as good as the information communicated. Brennan divers can investigate, record, and effectively report critical information. 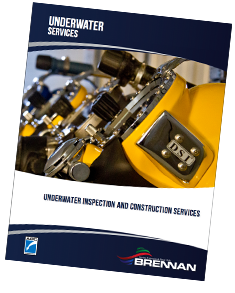 These reports contain detailed summaries, CAD drawings, images, and underwater video documentation to help identify any structural concerns. With over 30 divers on staff, Brennan can provide competitive pricing and timely mobilization throughout the United States. As a contractor, we look forward to being a resource to engineering firms and owners alike. In addition to our dive services, our underwater acoustic imaging and bathymetric surveys can offer supplementary information. Want more information on our diving services? Please fill out the form below!